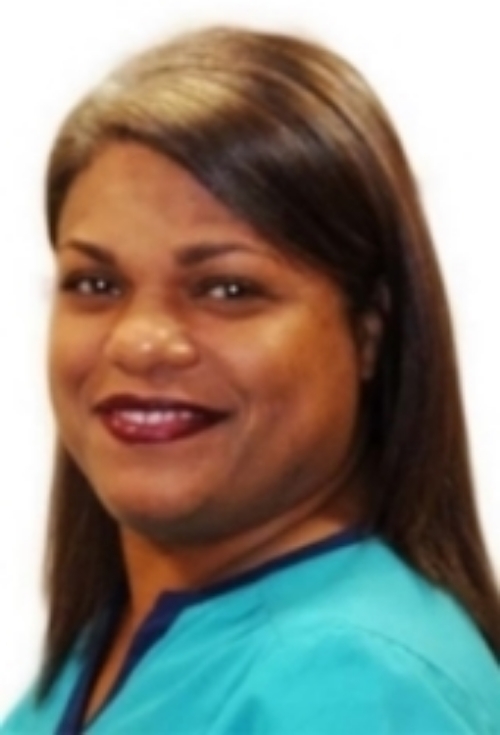 The newest member of our team, our dental assistant Pamela, previously earned a degree in dentistry in her native Dominican Republic. She is now studying to get her degree and license here in the U.S. and she recently became a U.S. citizen. Growing up, Pamela studied ballet, and belonged to a folkloric dance group, before becoming interested in dentistry. Of her job in our office, she says, "I really like working here because they treat me like family. We are all very close." In her busy life of work and studies, she manages to fit in daily workouts at a nearby gym and enjoys spending time with friends during her free time. Maria has been with us for several years now. She came to us having already had a lot of past experience in customer service. She very much enjoys serving all our patients, young and old, and making them feel welcome. With her customary warmth and good humor, she greets each one and puts them at ease.Asked what she likes best about her job, she replies without hesitation, "The family ambience." Born in Puerto Rico, she moved to New York with her family as a young teenager. Now she has her own teenage son, Alex, her "pride and joy," who is planning to join the Marines and to become an engineer when he completes his high school studies. Maria has been interested in theater from a young age, and also likes to cook, take walks in the park and ride her bike along the Hudson. Alfa joined our practice over 10 years ago and is much loved and appreciated by all our patients. She is a graduate of New York's Monroe College, where she earned a Bachelor of Science degree in Health Services Administration. Along with billing and bookkeeping responsibilities, she helps patients to understand their insurance coverage and follows up on approval and claims issues. She is now working for us part time, as she is expanding her horizons by also working with a not-for-profit home health care organization in NYC. In her free time she enjoys reading and running, at least five days a week, as well as salsa and merengue dance.